It’s a clash of gods, science, lava, stars, and the law for the Thirty-Meter Telescope in Hawaii. The would-be new largest telescope on the planet just had its construction permit yanked by the Hawaii Supreme Court. The construction of the 30-Meter Telescope on the flanks of Mauna Kea volcano has been the topic of fierce ethical debate between astronomers wanting the new instrument, and locals wanting to protect their cultural heritage and spiritual beliefs. The isolation, dark skies, and high altitude of Mauna Kea make it supremely well-suited for astronomical research, evidenced by the 13 other observatories already at home on the volcano. And yet, it’s also a sacred place for native Hawaiians, and they’re unwilling to tolerate yet another intrusion into lands traditionally reserved for only high chiefs and priests. The construction permit for the telescope was revoked on the grounds that the state Board of Land and Natural Resources failed to hold proper hearings in response to groups protesting the telescope before issuing a construction permit. For now the $1.4 billion collaboration between Canada, China, India, Japan, and the United States is on hold, but this is unlikely to be the end of the story. 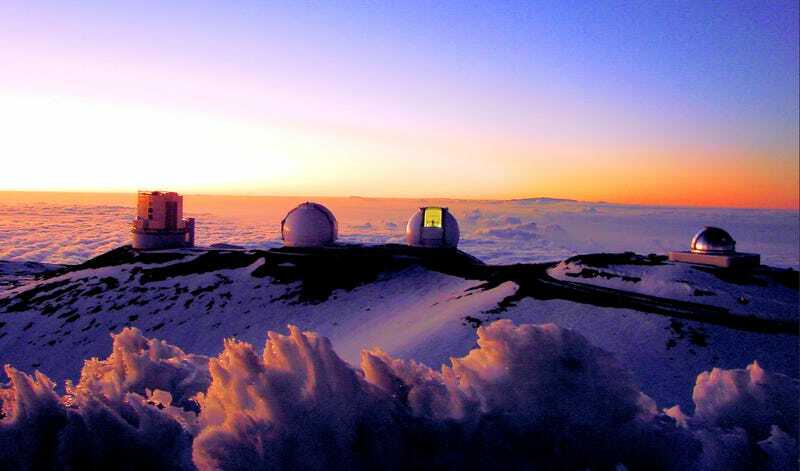 Top image: Four of the Mauna Kea, the Subaru Telescope, the Keck I and II telescopes, and the NASA Infrared Telescope Facility. Credit: Alan L.